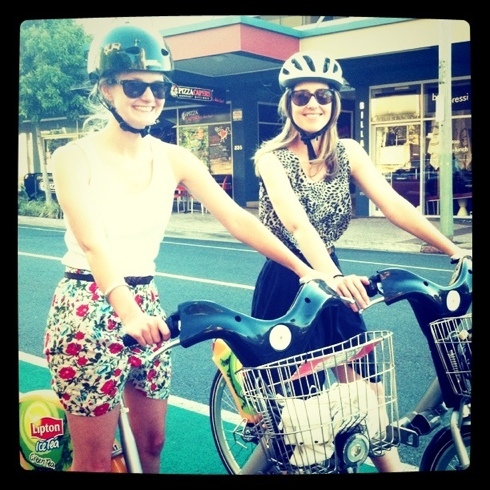 Angela and Jean – ending a near perfect BNE bike day. Unlocking their first ever rides on the city cycles. What better way to explore the city. Darn tooting. Do they make an Australian standards approved folding helmet? Like one that could go in my handbag?